Salmon River Studios is based on a 52 acre farm nestled on the banks of the pristine Salmon River- just across from the town of Tamworth. 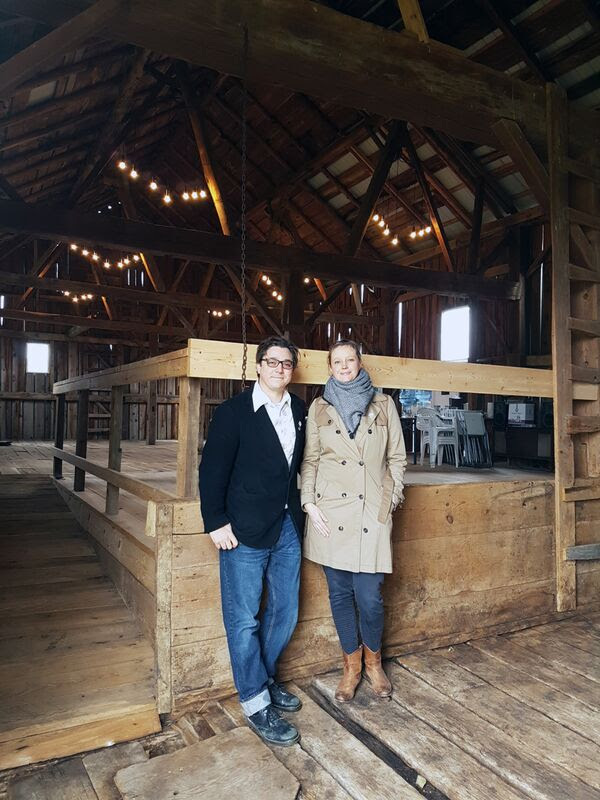 Our large timber barn and winter studio offer year-round arts and educational programming including art lessons and workshops in all media, arts integration workshops for educators, artist residency programs and other community centred cultural activities. Salmon River Studios is home to Ashley Doucette Pilles and Gabriel Deerman- artists, educators and previously co-operators of Gaff Gallery in Vanouver and Galerie Rye in Montreal. Ashley Doucette Pilles is an Ontario College of Teachers and Internationale Baccalaureate certified educator with expertise in media including ceramics and textiles as well as wood working. Ashley holds a Bachelor of Visual Arts from Emily Carr University of Art and Design (Vancouver), a Bachelors of Education from Queen's University in Kingston, Ontario and is currently working towards a Masters of Art in Education from Boston University.